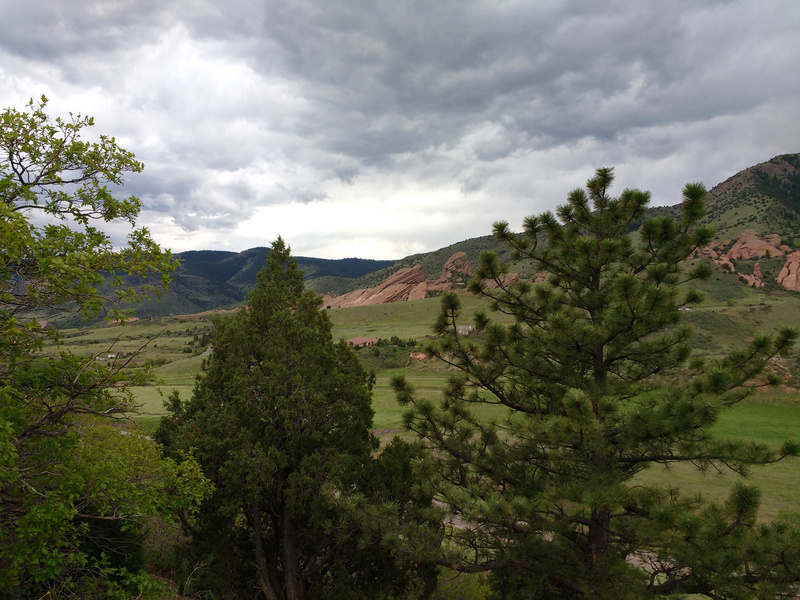 Free high resolution photo of Red Rocks park outside of Denver, Colorado. This picture was taken from the top of Dinosaur ridge looking at the park through trees. Red Rocks park features beautiful geology of red sandstone rocks that have been uplifted at a steep angle. This image is free for any use.